The Mets have come so far but are now just one game away from elimination. But it ain't over till it's over — and as many Mets fans would say: Ya Gotta Believe. NY1's Jose Martinez caught up with some disappointed, but optimistic, fans after the game. The King was there. So was a Ninja Turtle and the Hulk. But an eighth inning error by Mets postseason superhero Daniel Murphy turned him into a mere mortal on Halloween night - and helped put the Mets in a 3 games to 1 hole in the World Series against the Kansas City Royals. 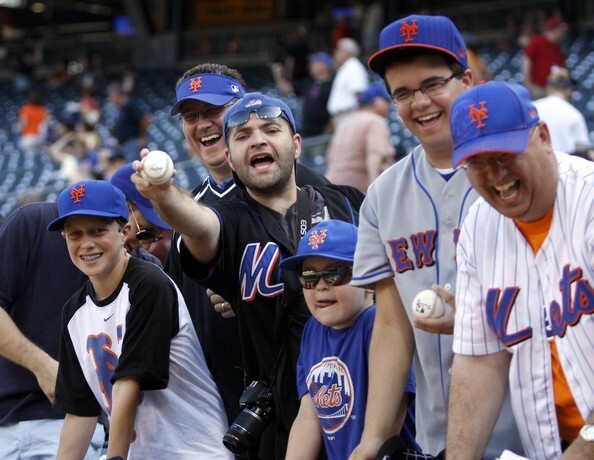 "Aww, Daniel Murphy, don't even get me started on him," one fan said. "He's Murphtober, you know, but he had a bad game." And now the Mets are on the brink of seeing their Amazin' season come to an end — as soon as tonight night at Citi Field. 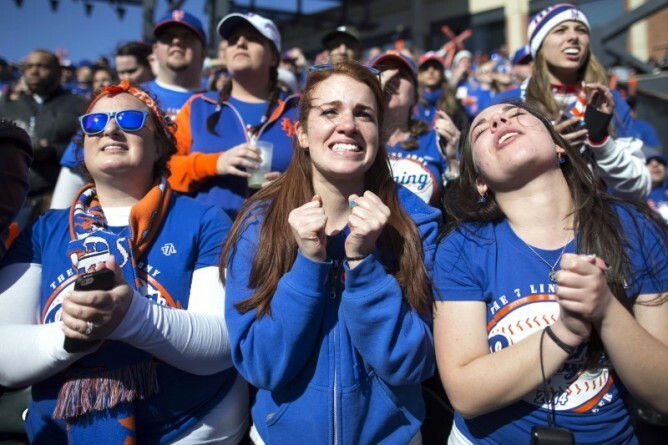 But plenty of Mets fans say they still believe — even as they wore long faces for the ride home. "Bad loss tonight, bad loss tonight." "Hey listen, they played, they played tough," another fan said. "They've been down before. In 1986, I was a big fan and I have a feeling tomorrow night they're going to win. And 3-2 back in Kansas City, anything could happen." "It's gonna be hard, but we can do it," said a third fan. "We gotta have the faith." The late-game collapse came after Mets rookie Michael Conforto hit a pair of homeruns. But with ace pitcher Matt Harvey starting in game six, fans are hoping the Series can get back to Kansas City. "I think we have three great pitchers coming up and if we can actually hit the ball and throw people out, I think we can actually do well," said one hopeful fan. Even fans of the suddenly slumping Murphy still say you gotta believe. "Not burning the Murphy jersey! I got faith in the Murph, man." But it's going to take more than faith to extend the series to a sixth game with the Mets now looking at some mighty long odds.